I still remember that sinking feeling in my stomach as I carried my first tray of food to a hotel room. It was my first day of work after college. This is not what I had planned! During college, I had a plan for my life. First, I was going to intern at a few different investment firms. Second, I was going to interview for a few different investment firms. Lastly, I was going to work at the best investment firm I could find. During college, I was fortunate to get two investment internships. Check. During my senior year, I was fortunate to get 15 interviews with investment firms all around the country. Check. Then, on a beautiful, sunny day, on September 11, 2001, I peered at the TV and saw a plane crash into the World Trade Center. 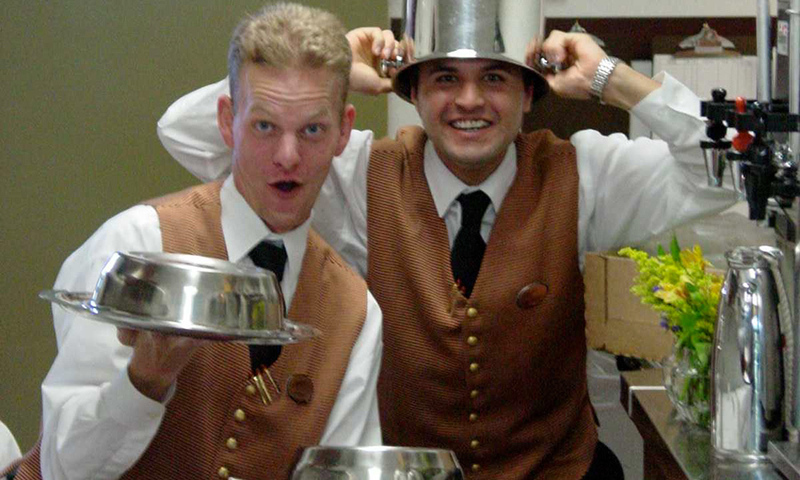 After my senior year, full of cancelled and failed interviews, I ended up working as a room service attendant at the Lodge at Torrey Pines. On my first day, I bravely buttoned up my golden vest and walked out into the lobby. I promptly ducked my head when I saw a business professional – I felt so embarrassed! But, it was God’s providence. Until this point, I had wrapped my identity in working in finance. Now that I was not working in finance, I had an identity crisis. I felt like I was less of a person. I became desperate to find identity and purpose, and Jesus was there, as my answer. Two and half years later, I received my all-time greatest answering machine message, which ended with the words, “You got the job!” After a lot of persistence, I was offered my dream investment job. I was elated, but, since working in finance was no longer my identity, I called the company and asked for a day to consider their offer. That night I went to my knees to lay this job offer down before the feet of Jesus and truly ask Him, with all sincerity, whether I should take the offer. I would not have laid down this precious treasure at Jesus’ feet had I not learned to make Jesus my treasure over my vocational calling. I am grateful that God’s plan was different than my plan for my first job after college. Not sure how to take the next steps in your career? Our career specialists would love to meet with you. Schedule an appointment today!